Enjoy this unique rejuvenation opportunity! Spring is a time of renewal, change and a most natural time to cleanse. 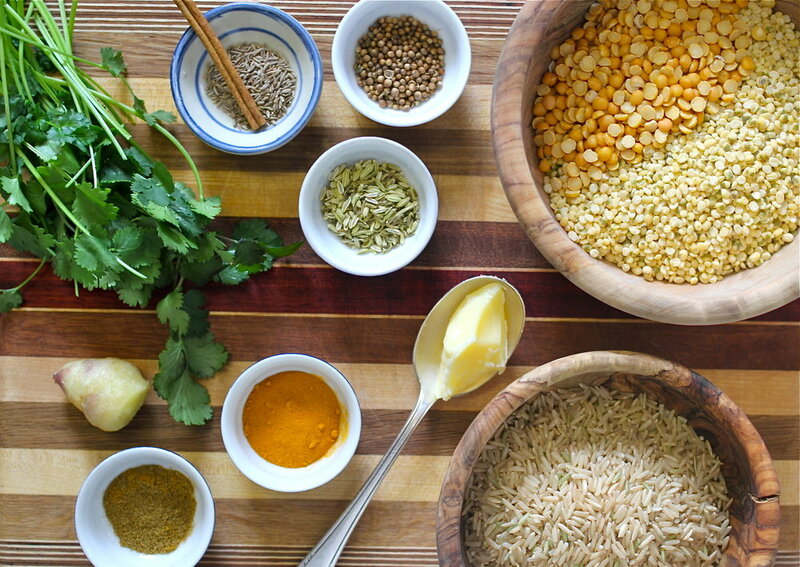 This class is full of detailed information on how to do an Ayurvedic cleanse. Cleansing is an ideal way reset and evolve diet & lifestyle practices for the coming summer. Facilitate ways to support the elimination of toxins from the body, increases energy and vitality, support healthy weight management, relax the nervous system, calm the mind, help re-establish one's natural state of balance and promote optimal health and well-being as you sync-up with the season. The Ayurveda practice of Dinacharya, refers to daily self-care routines. Performed consistently these steps provide structure for instilling balance and aiding in the release of toxins in the physical, mental, and emotional bodies. It is not uncommon to feel overwhelmed at the addition of all these little steps when performing a cleanse. This class will walk you through the options including a simple yoga practice, pranayama and meditation. We will honor the ancient wisdom, yet keep it practical and realistic to fit your individual life! The entire cleanse will include on-going support through a private FB page!! Jill Sommers, MA is the owner of Jill M Sommers Performance Coaching where she coaches exceptional people to achieve outrageous life results. Jill's coaching experience is 30+ years in the making and as a five-time Ironman finisher, Jill personally understands how embracing and accomplishing challenges in life, lights up the outrageous spirit within. She is passionate about coaching people to believe in their intrinsic value, re-claiming their Exceptional Self through mind/body centered experientials such as adventure travel, activity, meditation, and inter-personal connection. Click here to learn about more Jill and her coaching services. Interested in growing a garden here in Western Colorado? Have you been a successful gardener in another part of the county and recently moved here? Are you a seasoned high altitude gardener ready to introduce new varieties and seeds to your garden and soil? Ready for variety, creativity, seeding and MORE??? Learning how to win the battle of our dry, windy and temperature fluctuating climate. Develop skills to identify your microclimate and adapt to it using season extension and other techniques. Discover how companion planting can help you maximize a bountiful harvest. Make sure to bring your seed and gardening questions for this interactive exploration in Gardening!! Feeding Your Demons: A Daylong workshop with Jonathan Barfield, Ph.D. Feeding Your Demons (FYD) is a profound healing practice developed by Lama Tsultrim Allione. This practice is inspired by the 11th century Tibetan chöd practice and modern psychotherapy. It offers techniques in identifying and working with our “demons,” or hindrances. FYD is based in the compassionate principle of “feeding” rather than “fighting,” and is applied to cognitive, emotional, and physical obscurations that bind up our lives. Participants will be introduced to the history and principles underlying FYD, learn and practice the 5 steps of FYD, and learn supportive practices. Jonathan Barfield, Ph.D., has been a contemplative practitioner for over 20 years and is an apprentice teacher in the Tibetan Buddhist lineage at Tara Mandala under the guidance of Lama Tsultrim Allione. Jonathan is a certified Feeding Your Demons therapist and facilitator and has taught this practice to many monks, nuns, lay practitioners, and clients. Join Melanie and Jon for an evening of call and response chanting accompanied by sweet music from harmonium, guitar and drums. by More Than Physics - at the Ridgway Yoga Shala! its inquiry, facets and focus, the inner workings of the practice, and much much more. All welcome. No experience required. Come with curiosity and an open heart. Ayurveda, the ancient Indian medicinal practice of balance and health, has long used masterful cleanses at the junctions of the seasons to facilitate an equilibrium in the body and mind and to establish and maintain well being. Cleansing has a multitude of benefits including the elimination of accumulated toxins, improved digestion, burning unwanted fat, strengthening immunity, increased energy and reduced cravings. Ayurvedic cleanses are used to support and nourish and are not meant to shock the internal systems as other cleanse may do. By eating THREE FULL MEALS A DAY of vegan, wholesome foods and grounding, cooked meals including the delicious Kitchari, you are returned to a balanced, detoxified and purified state. Join us, Monday November 5th from 6:30 pm - 8:00 pm for an in depth class on Ayurvedic cleansing and detoxification where we will cover key concepts for facilitating a successful detox including reasons to cleanse, ideal time to cleanse and specifics on how to undertake a 10 day Ayurvedic home cleanse. Class will also include instructional meditations and breath exercises (pranayama) to help support your balanced state. Collectively we will begin the cleanse the next day on Tuesday November, 6th and finish ten days later on November 16th. To dive deeper into the cleanse an optional second course has been added: Vak Tapas- Yogic Disciplines for Purification of Speech on Monday November 12, 6:30 pm - 8:00 pm. As serious students of yoga we may feel drawn to bring other spiritual disciplines into our lives besides the practice of asana (yoga posture). Seasonal cleanses are one such practice. Another discipline that is immensely beneficial for cultivating mindfulness is the practice of Vak Tapas or disciplined speech. This special class will explore the four characteristics of Vak Tapas as explained in the Upanishads, as well as other ways we can enlighten the faculty of speech. When we use our organ of speech for right speech, we create harmony and increase sattva in the world. 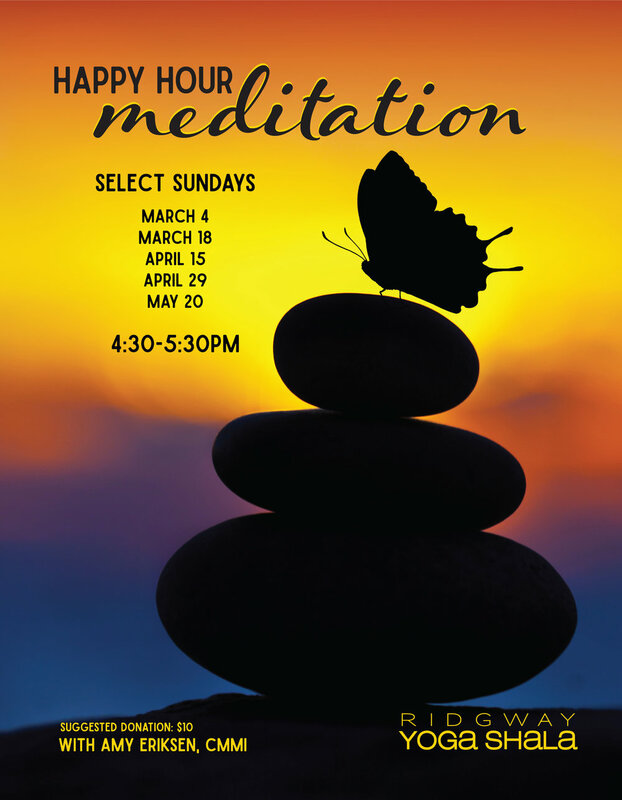 The lecture portion of this class will be followed by a guided Self-Inquiry meditation aimed to facilitate the cleansing of unhealthy emotions to further the benefits of the seasonal cleanse. Throughout the 10 day period, we will be offering support via a private Facebook page set up for all cleanse participants as a place to share successes and challenges. We look forward to sharing with you this wonderful honoring of the season of change and move together in balance and health! Explore yogic principles as applied in the ancient Ashtanga Yoga tradition. 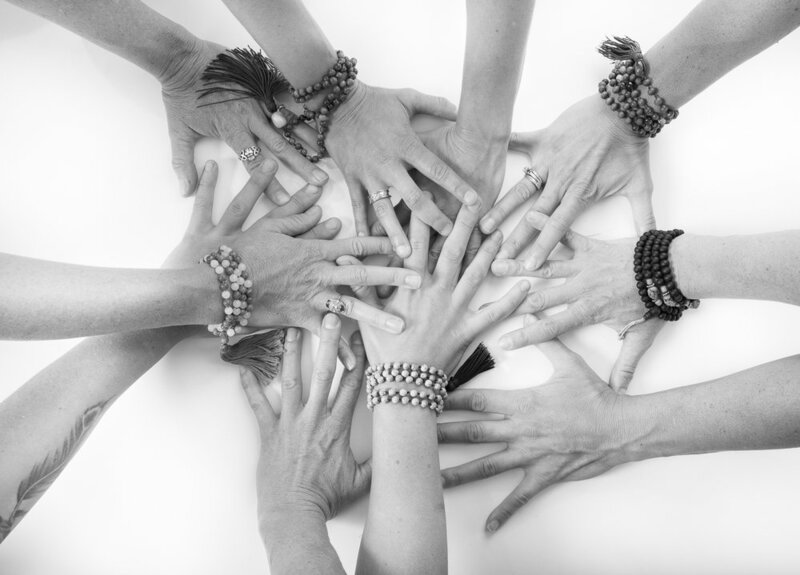 With decades of experience and extensive studies in India, Annie offers a wealth of wisdom. Practicing under her guidance makes Ashtanga Yoga a joyful and insightful adventure for all, as she offers a broad, deep and authentic perspective in both practice and theory. The weekend evolves progressively, with both guided and Mysore style classes, as well as time for questions and discussion, appropriate for all levels of practitioners. Newcomers to the lineage will get a graceful entry while seasoned practitioners receive the opportunity for endless refinement. Annie beautifully tailors the content of the weekend to the students who are in the room. There will be time for questions and answers, so bring your forth your inquiry to help shape what topics we will dive deeper into during this workshop weekend. LIMITED SPACE - RESERVE YOUR SPOT TODAY! Embody the heart of the mandala, deepen in yoga as movement meditation, and create a collective mandala in the sacred sanctuary surrounded by the 21 Taras. Our journey will include the Fall Equinox Global Mala Movement Ritual, connecting around the world for UN International Peace Day, a mala gift and workbook. Learn and experience traditional prostrations as offering to Tara Mandala, evolution of Prana Mandala Namaskars and embodied prayers as movement meditation. Participate in the Global Mala Ritual and Celebratory Sahaja Prana Flow – free-form Movement Meditation. 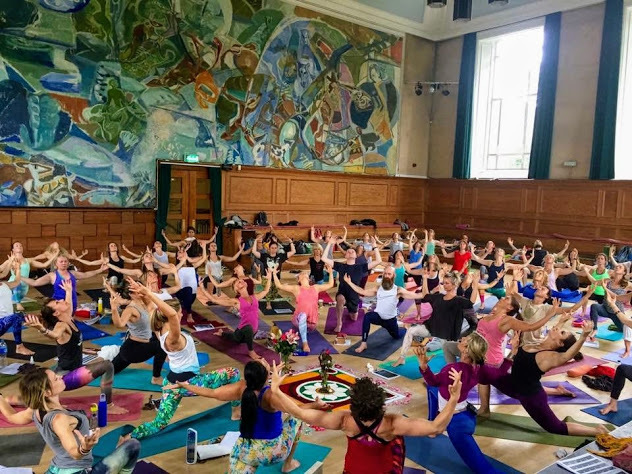 Prana Mandala Vinyasa is a circular flow yoga based upon the healing principles of the mandala integrating prana mandala namaskar, circular sequencing, meditation, mantra, mudra, and yoga nidra (deep relaxation). Based on 25 years of teaching, this offering is an evolution from the roots of Krishnamacharya’s teachings, Bhakti and Shaiva Tantra. Experience yoga with a five-foot staff for graceful circular movements and yoga postures to create deeper energetic alignment, stability and primal connection. Please bring a yoga mat, any props needed and hiking shoes for pilgrimage hikes. FREE YOGA & GIFT BAG DRAWING! LIVE MUSIC WITH LANAE, REFRESHMENTS, SNACKS, DISCOUNTED ITEMS! Kick off summer as we celebrate the longest day of the year - Summer Solstice. Burning away all that we’ve outgrown by embracing the fire within, we open more fully to the abundance, strength, light & joy of the season. Class will include purification practices combined with moments of turning in & slowing down as we prepare for the long hot days ahead. Throughout the day the Shala's doors will be open for a simple Open House style gathering to allow people to explore the new space. The evening will end with a very special Solstice Kirtan practice. Join us for this devotional call & response evening of chanting as we celebrate the longest day of the year. Solstice is a time to look within, remembering what we are and where we have come from. Singing the many Sanskrit names of the divine, Kirtan invites us to take stock and set intention as we embrace the fullness of summer. Normal class pricing for yoga classes, with Kirtan being by suggested donation of $10-15 per person. This workshop will be gently unfolding a rhythmical journey, which allows us to experience ourselves as rhythmical beings. Welcomed side effects can occur, such as deep relaxation, widened sensual perception, sudden insights into ourselves through rhythm as a mirror for behavioral patterns. LIMITED SPACE! PRE-REGISTER TO SECURE YOUR SPOT!